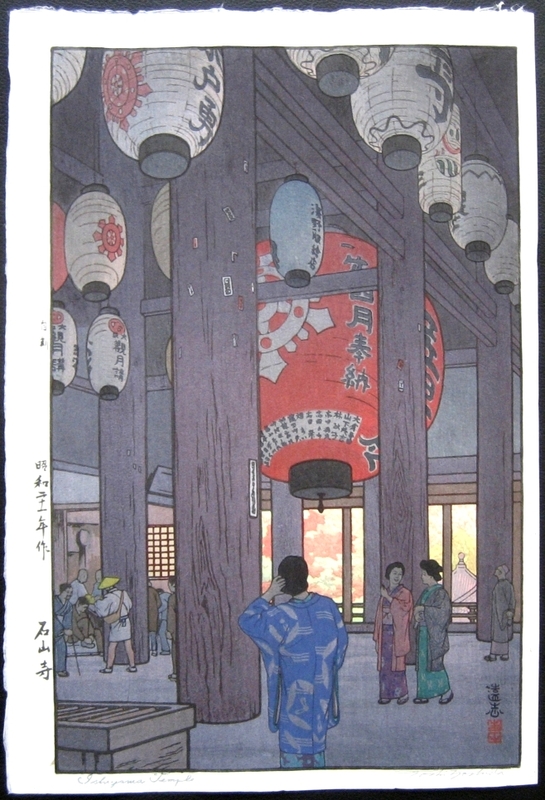 Description: This is Toshi Yoshida's first post WW2 woodblock print after his print work stopped during 1942. It's also notable as it is his first oban size (15x10 inches) print with all his previous prints being chuban size (10x7 1/2 inches). This print bears the "jikoku" (self-carved) seal in upper left margin. 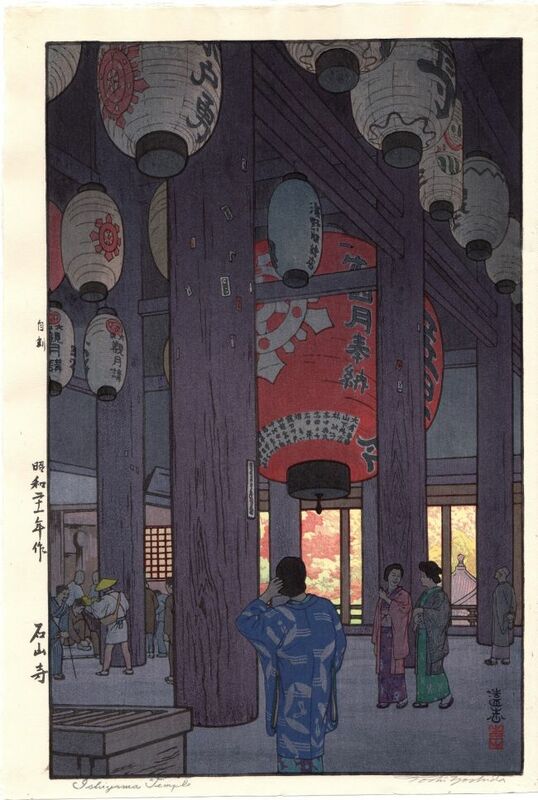 Toshi's grand mother Rui appears in the lower left of the print as an elderly woman with glasses (from Yoshida Toshi: Nature, Art and Peace by Eugene M. Skibbe).